The new Northeast Middle School, a 187,000-square-foot facility, provides a highly functional and flexible learning environment for 800 students in the Bethlehem Area School District. 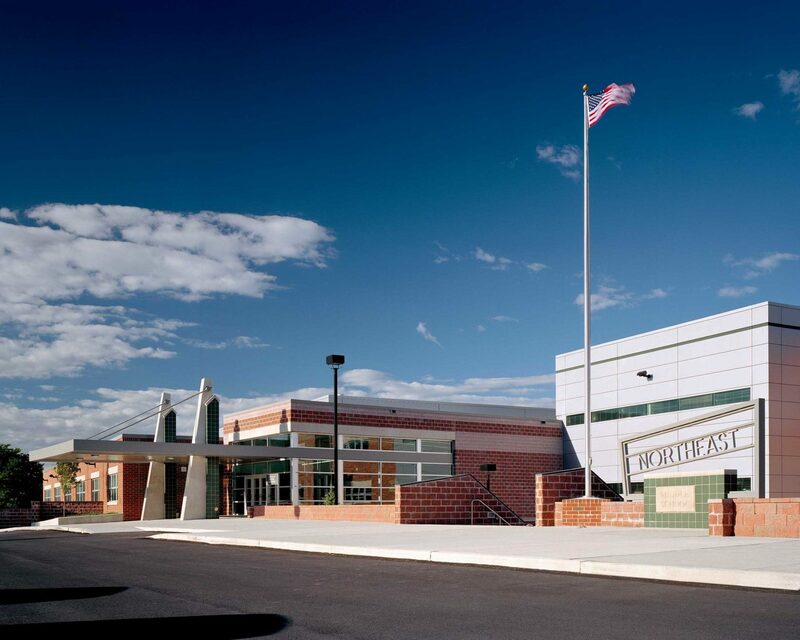 Northeast Middle School, a 187,000-square-foot facility, provides a highly functional and flexible learning environment for 800 students in the Bethlehem Area School District. Recognizing the diverse nature of today’s educational environment, the school is carefully designed to support both academic and, out of school hours, community uses. The academic wings are groups around a central core of common spaces that include student lockers, seminar rooms, washrooms, and mechanical rooms. These wings can be secured after hours to allow for community use of the auditorium and gymnasium. Small but important details abound. For example, the auditorium has been specially designed for functionality. Movable wall panels can be used to divide the space into a smaller theater seating 400 and two large-group classrooms, each seating 200. With the panels open and stowed, the auditorium seats 800. Stage curtains useful for theater performances can be stowed away in pockets to create “band shell” acoustics in the space. On the outside, creative design prevents the large school from overwhelming its neighbors. Brick and split-face block are combined to reduce the building’s scale in relation to the neighboring residences. Steel panels add a contemporary high-tech note to the facade.